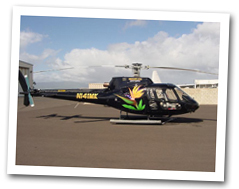 Waikiki.com Helicopter Tour – Easy 30 min Intro Flight! This tour begins with a beautiful view of placid Keehi Lagoon and continues over historic Honolulu Harbor. Here you will see Aloha Tower, once the tallest structure on the island, as well cruise ships from distant ports. where millionaires make their homes, and spectacular Hanauma Bay. continues over Sea Life Park, the estate where TV’s Magnum P.I. was filmed, and miles of white sand beach. You’ll be treated to a stunning view of Mount Olomana and, later, the Nuuanu Pali where King Kamehameha’s warriors won a decisive battle to unite the islands. 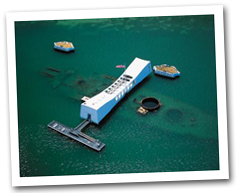 Your tour winds up with a great view of Pearl Harbor, the Arizona Memorial and the Battleship Missouri. Infants under 24 months old fly free. Free transportation is provided to and from Waikiki. Guests should wear comfortable clothing. Due to enhanced security, we ask guests to please leave their purses, backpacks and other items in their hotel rooms or in the hotel room safe. The only items allowed on the helicopter are cameras and video cameras. All other items must be left behind. Storage lockers are available for a fee. different winds and inclement weather. combined weight exceeds 430 pounds may be required to purchase a comfort seat. weight of two First Class passengers must not exceed 345 pounds. Making a secure booking online confirms that you comply with these terms and conditions. Be sure to have the names, weights and heights of everyone in your party. How many people can fit in the helicopter? The A-Star carries six passengers plus the pilot. For the comfort of all passengers, Open Seating passengers weighing in excess of 250 pounds may be charged an additional fee equal to one-half the cost of one seat. Open Seating passengers weighing more than 300 pounds will be charged for an additional seat. Any two Open Seating passengers from the same reservation whose combined weight exceeds 430 pounds may be required to purchase a comfort seat. An individual First Class passenger’s weight must not exceed 180 pounds; the combined weight of two First Class passengers must not exceed 345 pounds. Can I be guaranteed a front seat? Practically everyone wants to sit up front where you will get arguably the best view. The front seats are considered “First Class” and are available for a slight additional charge. The combined weight for both parties seated up front cannot exceed 360 pounds. The FAA requires that every passenger over 24 months occupy his or her own seat. However, children younger than that can ride on their parents’ lap for free. Yes, we encourage you to take pictures and/or video. Bring extra film. Do you provide a video? Yes. The A-Star is equipped with a live camera DVD recording system that records each flight. The video also records your pilot’s narration, your own comments and questions and gentle Hawaiian music in the background. You may purchase a DVD of your actual flight following your tour. What happens if it’s cloudy? As a rule, we don’t fly if the weather is inclement. After all, we want you to enjoy your tour. We encourage you to book your tour early in your stay so that you have the flexibility to fly another day if the weather is poor. Am I going to get sick? The A-Star is an extremely stable aircraft and is used worldwide for air tours. Your tour will be a comfortable experience as we follow the Tour Operator’s Program of Safety flight guidelines which call for limited pitch and bank angles. Is it safe to fly in a helicopter? Absolutely. 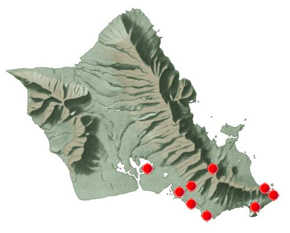 The Hidden Oahu Tour enjoys a spotless safety record. We use modern equipment, employ the finest and most experienced pilots, have a highly dedicated and trained support staff and are proud members of T.O.P.S., the Tour Operator’s Program of Safety. ***A travel representative will send you a confirmation email along with tour/activity vouchers within 24 hours of booking. If there are any problems with your dates, we will contact you. There are no refunds for cancellations made within 96 hours of this tour/activity, unless another cancellation policy is specified. No Shows are charged in full. If you have any questions, please click here to contact us. Mahalo! « Scuba Diving on Oahu Book Early! FREE Beginner Lesson!